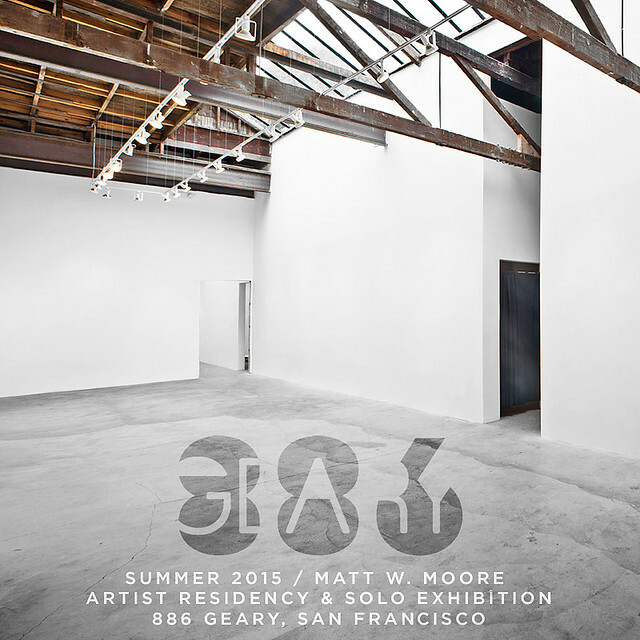 MWM NEWS BLOG: 886 Geary / Summer 2015 / San Francisco. 886 Geary / Summer 2015 / San Francisco. Honored to announce that I will be doing a 3 month residency & solo exhibition this summer at 886 Geary Gallery curated by my good friend Poesia (Graffuturism) in the wonderful city of San Francisco. This will be my most ambitious gallery exhibition yet and will incorporate 3D works and sculptural interpretations of my more recent geometric abstractions. After 18 solo shows all over the globe, oftentimes with just 4 weeks of lead time on the ground, I am super psyched to set up shop in SF for these months and get busy, exploring, evolving, with this new chapter of my fine artworks.